Why Thresher Shark Divers for your Diving Internship? Choosing if and where to do your dive internship is a big decision. Let us help you with your choices. Should I do my dive internship? For all of us at Thresher Shark Divers, diving has changed our lives much for the better, so the answer to the question "Should I do my diving internship?" is a big resounding YES! No doubt about it. Packing up and leaving home for a few months is not always easy and the idea may seem daunting, but we have found the trick to this is to buy your flight, and then the rest falls into place very easily. Please contact us if you have any questions on this as we are glad to help and give ideas. Why should I do my diving internship with Thresher Shark Divers? There are many places you can do your internship, but there are many reasons we think you should come to the British owned and run Thresher Shark Divers. Your Divemaster training is the key to your future as a dive professional. You get the foundations of your professional knowledge and training during your DM course. So it is very important to get this right. All of us at TSD had excellent instructors during our Divemaster internships and we could not have wished for a better education. We have always been thankful for this and it changed our lives permanently. This is one of the reasons we now offer the internship program that we do: we understand how important it is to receive a professional and thorough Divemaster education. For those people who take their diving career seriously, Thresher Shark Divers is the right choice. Your course will be structured, professional and well taught by knowledgeable instructors who have been in the industry for many years. We will not just push you through to get you finished, and we are happy to work with you as much as necessary to reach this goal. Although we are serious about your dive education we try to make it fun as well. We take our diving seriously, but there is a lighthearted and relaxed atmosphere in the dive shop. Happy hour at the Oscar's Bar and Restaurant upstairs is always a lively affair. Our divers gather in the late afternoon to look over the days photos, watch their shark footage, and pour over fish books. People are around throughout that day, but the evening it is a great place to socialize. People come from all over the world to see Malapascua's thresher sharks and for some it is the dream of a lifetime. Threshers are incredibly rare and Malapascua is the only place in the world they are reliably seen on a daily basis. It is an early morning dive, sometimes as early as 5am, so our divers have generally made a big commitment to seeing the shark and are full of anticipation. There is nothing like being on the boat after everyone has seen a thresher shark. As a diver, when you see a thresher shark you personally get an incredible feeling from having seen these magnificent creatures yourself. But as a Divemaster, taking a group of divers to see this amazing sight for the first time - the satisfaction that you get from the joy and gratitude of the customer is incredible. After every shark sighting the atmosphere on the boat is electric. It fills the whole boat, and happy smiley faces are all that you see. Even the boat crew are ecstatic. You will feel it on your first sighting, and the second and third... and the hundredth. The feeling never fades. And that all happens before 7am. Imagine the possibilities for the rest of the day! As the thresher shark dive is an early morning dive and your package included free diving, you can DO THE SHARK DIVE OVER AND OVER if you like! At Thresher Shark Divers we have always tried to make your experience as personal as possible. Even if the dive shop is full, we try to make people feel special and we take the time to make sure everyone is happy. We want you to have the best and most fun experience of your life. You will be guided throughout your whole program by our knowledgeable staff. Our internship staff, who have many year experience with such programs, will be there to make sure everything runs smoothly. Our other instructors are always available for advice, tutoring or a chat over a beer in the evening. 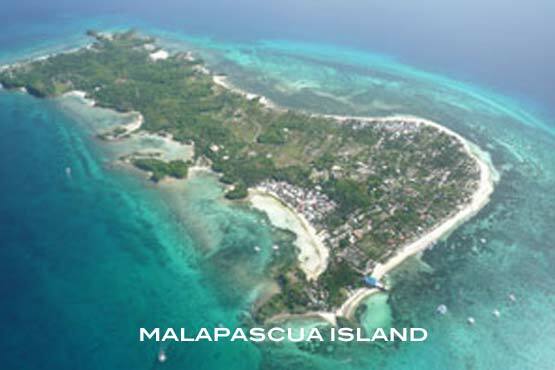 Malapascua is a dive destination for new and experienced divers alike. You will spend plenty of time with new divers, assisting instructors on courses. But you will also dive and socialize with much more experienced divers who are at TSD to fun dive. These divers have dived some of the prime dive locations around the world and have a wealth of experience. They are often DMs or instructors themselves with 1000's of dives under their belts, so you can learn untold amounts just from talking with them. Do not underestimate the importance of this, it is all part of becoming a well-rounded dive professional. Experience of instructors. At TSD you will have experienced instructors teaching you directly. It will not be newly certified instructors teaching for free to get experience. When learning to be a dive professional, you do not want to be a newly certified instructor's trial run. Most of our instructors are PADI Master Instructors with a minimum of 10 years working in the dive industry. How much individual attention will you get? At TSD we have an informal meeting at the end of each day with all the interns. Everyone reports on their day and it gives you the chance to find out what everyone else has been doing and discuss your upcoming schedule. In this way you are assured daily contact with the TSD team and your co-interns and you will never feel lost amongst the crowd. Is the Course Director always on site or is he/she just brought in for a short period during the the IDC? TSD has an in house CD and he is always around the dive shop, in fact will probably teach some of your other courses prior to the IDC. Are all the PADI fees mentioned? Including the DM application? The PADI Instructor fees are around AUD$1200, so make sure you know whether you have to pay additional for them or not. You do not want that coming as a last minute surprise after your program has finished. Are all required materials included? (see our list of all required materials, this is the same worldwide). Are there any other hidden costs like land transportation or electricity bills to pay? Visa requirements - we take care of this for you. You do not have to do anything, just give us your passport, we will bill you for it, and we will sort out the rest. You do not have to leave the country, or even leave the island. And you won't waste time and money in the process. Is your own set of personal diving equipment included? The equipment included with TSD is the high-quality name brand equipment, by default the Italian-made Cressi line and Suunto computer, but other options are available. Do you have the choices for customization that you have with TSD? Can you start at any time? Do they have shark diving everyday and a shark specialty included in the package? How is the diving? Is there enough variety to keep you interested for the duration of your program and to challenge you as your diving skills improve? Many of the more popular and cheaper locations don't have great diving. At Thresher Shark Divers, your safety is paramount. We take all aspects of your safety very seriously. Equipment is well maintained, our air is checked quarterly and guaranteed with zero contaminants and we carry oxygen on all of boats. Very importantly we have never had a serious accident at TSD. Find out more. The people are Malapascua are just lovely. There is no better way to put it. They are friendly, kind, always willing to help, and always have a smile on their face. They are constantly laughing and joking with each other, and from the first day will welcome you into their fold. Many interns get to know our local staff and their families on a very personal basis. English is the universal language of the Philippines. Almost everyone speaks some English. So traveling and living here is made easy for anyone who can speak English fairly well. If we have a group of interns who want to go somewhere different for a few days, we can arrange group trips, often with one of us to show you around. We can also help you with arrangements if you want to go on your own. This includes trips to Cebu City, and other dive locations in the Philippines. Located on Bounty Beach, Malapascua is your dream desert island getaway. The diving is listed in such publications as "50 Places to Dive Before you Die ", "Ultimate Dive Destinations " and many more.